Colin Bermingham, 62, and Carlo Palombo, 40, both former Barclays traders, were convicted of conspiracy to defraud – Euribor rate-rigging. National Finance Prosecutor’s Office (Parquet National Financier or PNF) has found UBS AG is guilty of illegally soliciting clients in France and laundering the proceeds of tax evasion, and ordered it to pay 4.5 billion euros ($5.1 billion) in penalties. The combined penalties are a record for France and more than double the $2.46 billion the bank has set aside to cover potential losses from litigation and regulatory requirements. The French trial follows a similar case in the United States, where UBS accepted a $780 million settlement in 2009, and in Germany, where it agreed to a 300 million euro fine in 2014. UBS last month reported a 2018 net profit of $4.9 billion. The National Public Prosecutor’s Office (PNF) is a French judicial institution created in December 2013 to track down economic and financial crime. Since its installation, on March 1, 2014, the public finance attorney deals with the highly complex cases for which it has jurisdiction over the entire French territory. The U.S. government on 11/9/2018 filed a civil fraud lawsuit accusing UBS Group AG, Switzerland’s largest bank, of defrauding investors in its sale of residential mortgage-backed securities leading up to the 2008-09 global financial crisis. The lawsuit came after UBS rejected a government proposal that it pay nearly $2 billion to settle. Royal Bank of Scotland Group Plc said it reached a tentative agreement to pay a $4.9 billion penalty to resolve a long-running U.S. probe into its packaging and sale of mortgage-backed securities before the 2008 financial crisis. Analysts had estimated the firm would pay more to resolve U.S. scrutiny of its mortgage business. Analysts at Deutsche Bank AG projected $9 billion, while Bloomberg Intelligence foresaw more than $11 billion. The deal in principle with the DOJ comes after Barclays Plc agreed to pay $2 billion to settle its U.S. probe in March, securing a penalty less than half of what U.S. authorities originally demanded. Rivals also charged by the DoJ include Citigroup, JPMorgan Chase, Credit Suisse, Morgan Stanley, Goldman Sachs and Bank of America. The DOJ penalty comes after RBS’s $5.5bn settlement with the Federal Housing Finance Agency last year, and its $500m settlement with New York state last month. The Applicant requests that the description of the charged conduct—the clause beginning “for engaging in a conspiracy”—be omitted. The Applicant states that this description is inaccurate and incomplete, will lead to disputes with counterparties to the detriment of plans, and will make it unlikely that plans will benefit from or be protected by this exemption. After consideration of the Applicant’s comment, the Department has revised the exemption in the manner requested by the Applicant. The Trump administration has waived part of the punishment for Deutsche Bank and five megabanks , Barclays, UBS (UBS), The Royal Bank of Scotland (RBS), Rabobank and Lloyds Banking Group,whose affiliates were convicted and fined for manipulating global interest rates. One of the Trump administration waivers was granted to Deutsche Bank — which is owed at least $130 million by President Donald Trump and his business empire, and has also been fined for its role in a Russian money laundering scheme. U.K. prosecutors have called in a number of former Lloyds Banking Group PlcLibor traders for questioning over manipulation of the benchmark rate, more than two years after the bank was fined nearly $400 million over the scandal. Royal Bank of Scotland and Barclays are among banks hit with SFr99m (£78m) of fines by the Swiss competition regulator for operating four separate cartels over Swiss franc Libor rate rigging, as the international fallout from the Libor rate-rigging scandal spreads.Deutsche Bank received immunity for blowing the whistle on the cartel. The two British lenders were hit with a combined £37m in fines, while HSBC, Lloyds and City of London brokers Icap, Tullett Prebon and RP Martin all remain under investigation by Switzerland’s competition commission, Comco.The probe also saw France’s Société Générale fined £2.6m, while proceedings remain open against JP Morgan, BNP Paribas, Credit Agricole and Rabobank. RBS was granted immunity in a separate probe into collusion with JP Morgan to influence the Swiss franc version of the Libor interest rate, after it told regulators of the activity.The scale of the Swiss regulator’s penalties pale in comparison to those dished out by European competition authorities. European antitrust regulators on December 7 fined Crédit Agricole, HSBC and JPMorgan Chase a total of just over 485 million euros for colluding to fix benchmark interest rates tied to the euro, euribor. The penalties, equivalent to about $520 million, came more than two years after the European authorities issued a statement of objections — a formal step in antitrust investigations — against the three banks. The inquiry began in 2011. In December 2013, the European Union fined a group of global financial institutions a combined €1.7 billion to settle charges that they had colluded to fix benchmark interest rates, including the euro interbank offered rate, or Euribor. It was the largest combined penalty ever levied by European competition authorities. The three banks fined on December 7 did not settle in 2013. The potential fines against those that did settle were reduced 10 percent. Britain’s High Court denied a renewed application to appeal against extradition by Navinder Singh Sarao, who did not attend the High Court hearing, and he is due to be sent to the US within 28 days. Theresa May, the Home Secretary at the time, signed off his extradition in May, but the process was delayed when Mr Sarao appealed. The High Court judges will set out their reasons for rejecting his appeal “in due course”. Navinder Sarao, a 37-year-old from Hounslow, has been fighting the US authorities’ bid to extradite him since he was arrested at his home in April 2015. PMorgan Chase & Co., Citigroup Inc., Morgan Stanley ,BNP Paribas, Royal Bank of Scotland, UBS, Commonwealth Bank of Australia, Deutsche Bank AG, HSBC Holdings Plc, Macquarie Group Ltd., Royal Bank of Canada and Credit Suisse Group AG. Brokers ICAP Plc and Tullett Prebon Plc are also defendants. Sonterra Capital Master Fund Ltd., various FrontPoint Financial funds and Florida-based derivatives trader Richard Dennis are complainants. Derivatives trader Richard Dennis , legendary American commodity speculator and a hedge fund firm depicted in the The Big Short movie for earning billions betting against US subprime mortgages are plaintiffs suing Australian banks in New York for allegedly manipulating market interest rates. Dennis made his name taking huge bets on commodity futures such as grain, soybeans and pork belly in the 1970s and 80s and went on to help pioneer the renowned Turtle quantitative trading strategy. “He was the most famous person in the [trading] pits in Chicago back then,” Brian Procter, a floor operations manager for Mr Dennis in the 1980s and now a managing director at US investment firm EMC Partners, told The Australian Financial Review on Thursday in the US. Mr Dennis, 67, is a class action plaintiff suing 17 international banks, including the big four Australian banks and Macquarie Group, for allegedly artificially fixing local Bank Bill Swap Rate (BBSW)-based derivative prices from 2003 onwards, according to a claim submitted in the US District Court for the Southern District of New York this week. Florida-based Mr Dennis traded hundreds of Australian dollar futures on the Chicago Mercantile Exchange. DOJ asked 2d USCA on July 21 to block release of an HSBC money laundering report, HSBC Holdings Plc is working to improve its money laundering controls after the British bank was fined $1.92 billion.In the 2012 settlement, HSBC admitted to violating U.S. sanctions laws and failing to stop Mexican and Colombian cartels from laundering hundreds of millions of dollars in drug proceeds through the bank. HSBC agreed to monitoring by former New York prosecutor Michael Cherkasky, now the executive chairman of the compliance company Exiger. One of the bank’s mortgage customers filed a motion to unseal Cherkasky’s report to find out whether the bank continued to engage in what the customer claimed were unsafe business practices. “Public disclosure of the monitor’s report, even in redacted form, would hinder the monitor’s ability to supervise HSBC,” the government’s court filing said, adding that bank employees would be less likely to cooperate with the monitor if they knew their interactions could be released. n an earlier court filing, the government said that while HSBC has made significant progress since the agreement, it is still not doing enough to thwart money laundering. The cantonal police confirmed an application May 27 to run the investigation. Martin Senn is said to have shot himself. The cantonal police confirmed an application May 27 to run the investigation. He had quit as chief executive of Zurich Insurance Group in December following a series of profit warnings and a botched takeover of British rival RSA. His death follows the suicide of Zurich’s finance chief Pierre Wauthier in August 2013. McLellan, Pennings and others conspired from February 2010 to September 2011 to add secret commissions to fixed income and equity trades performed for the six clients of a unit of the bank to overcharge their clients by millions of dollars through secret commissions on trades worth billions of dollars. Ross McLellan former State Street executive vice president, McLellan was released and is due in court again on May 19. The case followed a 2014 settlement between State Street and the UK Financial Conduct Authority in which the bank paid a fine of £22.9 million (about $37.8 million) for charging the six clients “substantial mark-ups” on certain transitions. The case is U.S. v. McLellan, 16-cr-10094, U.S. District Court, District of Massachusetts (Boston). New York Attorney General Eric Schneiderman’s office is investigating the posting of false bids and offers in the foreign exchange options market for emerging market currencies, a person familiar with the matter said on November 23. This month, a jury in Chicago convicted a high-frequency trader of commodities fraud and spoofing in the U.S. government’s first criminal prosecution of the trading practice.The trader, Michael Coscia, was convicted under a relatively new statute that was part of the 2010 Dodd-Frank Wall Street regulatory overhaul, although as a state official Schneiderman operates under different legal authority. A Royal Bank of Scotland Group Plc executive told a client at Brevan Howard Asset Management as early as August 2007 that banks were setting Libor rates to support their own trading. Property Alliance Group, which is suing RBS over losses from interest-rate derivatives pegged to the benchmark, cited the evidence as it asked a London judge for permission to add allegations of fraud Thursday. Ex-RBS head of corporate Johnny Cameron sent an e-mail to other executives after meeting with the Bank of England in April 2008 that officials “wanted banks to play U.S. Libor very straight,” according to Lord. Anthony Allen and Anthony Conti, both UK citizens, participated in a five-year conspiracy at Rabobank to rig Libor rates in dollar and yen at the Dutch Rabobank They will be sentenced next March and were not remanded in custody. Of 13 people charged by the Justice Department with offences related to Libor rigging, seven are former Rabobank traders, including Allen and Conti, who earlier this year waived their right to extradition to fight the charges. Lawyers for Allen and Conti argued that while others at the bank may have been trying to rig Libor, their clients had submitted honest rate estimates. Rabobank was fined £662m by regulators in October 2013 over the Libor scandal, sparking a move by the bank’s chairman, Piet Moerland, to step aside earlier than he had planned. The trial of Anthony Allen, 44, and Anthony Conti, 46, in federal court in Manhattan marks the first in a case by the U.S. Justice Department spilling out of a global investigation into whether various banks sought to manipulate Libor. U.S. v. Allen, U.S. District Court, Southern District of New York, No. 14-cr-00272. Allen, Rabobank’s former global head of liquidity and finance, and Conti, a senior trader, were indicted in the United States in October 2014, a year after the bank reached a $1 billion deal resolving related U.S. and European probes. Their trial follows an earlier one in London involving alleged yen Libor manipulation that led to the conviction of Tom Hayes, a former UBS AG (UBSG.VX) and Citigroup Inc (C.N) trader who was sentenced in August to 14 years in prison. This case is assigned to Judge Jed S. Rakoff, United States Southern District Court of New York, Daniel Patrick Moynihan, United States Courthouse, 500 Pearl St., New York, NY 10007-1312. Sentencing has been set for Paul Robson on June 9, 2017, at 4:00 PM before Judge Jed S. Rakoff. On March 23, 2015, Lee Stewart, of London pleaded guilty to one count of conspiracy to commit wire and bank fraud. A sentencing hearing is scheduled for June 9, 2017. On March 20, 2015, Anthony Allen, the Global Head of Liquidity and Finance at Rabobank’s London desk, made his initial appearance and was arraigned. He pleaded not guilty to a superseding indictment charging him with one count of conspiracy to commit wire and bank fraud and eighteen substantive counts of wire fraud filed in an October 2014 superseding indictment. Allen is the first defendant charged in the LIBOR cases to waive extradition and be arraigned with the intention of contesting the charges. The court released Allen on a $500,000 bond and set a trial date for Oct. 5, 2015. On October 16, 2014, Anthony Allen, the global head of liquidity and finance at Rabobank’s London desk; Paul Thompson, Rabobank’s head of money market and derivatives trading for Northeast Asia; Tetsuya Motomura, a senior trader and head of global financial markets trading-Tokyo at Rabobank’s Tokyo desk; and Anthony Conti, a senior trader on Rabobank’s money markets trading desk in London, were charged in a superseding indictment with conspiracy to commit wire and bank fraud and various substantive counts of wire fraud. Two co-defendants have pleaded guilty for their roles in the scheme. The charges stem from a scheme to manipulate and attempt to manipulate LIBOR. On August 18, 2014, Paul Robson, a former rate setter and senior trader at Coöperatieve Centrale Raiffeisen-Boerenleenbank B.A. (Rabobank) pleaded guilty to one count of conspiracy to commit wire fraud and bank fraud charged in an April 2014 indictment. The charge stems from a conspiracy to manipulate Rabobank’s Yen LIBOR submissions to benefit trading positions. On April 24, 2014, three former senior traders at Coöperatieve Centrale Raiffeisen-Boerenleenbank B.A. (Rabobank), Paul Robson of the United Kingdom, who was also a rate setter; Paul Thompson of Australia; and Tetsuya Motomura of Japan, were indicted on one count of conspiracy to commit wire fraud and various substantive counts of wire fraud relating to a conspiracy to manipulate LIBOR. The defendants initially were charged by complaint in January 2014. According to the superseding indictment, at the time relevant to the charges, LIBOR was an average interest rate, calculated based on submissions from leading banks around the world, reflecting the rates those banks believed they would be charged if borrowing from other banks. LIBOR was published by the British Bankers’ Association (BBA), a trade association based in London. 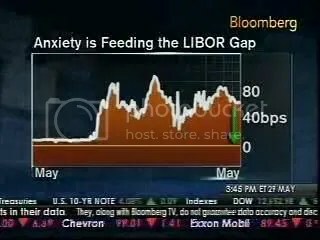 LIBOR was calculated for 10 currencies at 15 borrowing periods, known as maturities, ranging from overnight to one year. The published LIBOR “fix” for U.S. Dollar and Yen currency for a specific maturity was the result of a calculation based upon submissions from a panel of 16 banks, including Rabobank. LIBOR serves as the primary benchmark for short-term interest rates globally and is used as a reference rate for many interest rate contracts, mortgages, credit cards, student loans and other consumer lending products. Rabobank entered into a deferred prosecution agreement with the Department of Justice on Oct. 29, 2013, and agreed to pay a $325 million penalty to resolve violations arising from Rabobank’s LIBOR submissions. According to allegations in the superseding indictment, Allen, who was Rabobank’s Global Head of Liquidity & Finance and the manager of the company’s money market desk in London, put in place a system in which Rabobank employees who traded in derivative products linked to USD and Yen LIBOR regularly communicated their trading positions to Rabobank’s LIBOR submitters, who submitted Rabobank’s LIBOR contributions to the BBA. Motomura, Thompson, Yagami and other traders entered into derivative contracts containing USD or Yen LIBOR as a price component and they asked Conti, Robson, Allen and others to submit LIBOR contributions consistent with the traders’ or the bank’s financial interests, to benefit the traders’ or the banks’ trading positions. Conti, who was based in London and Utrecht, Netherlands, served as Rabobank’s primary USD LIBOR submitter and at times acted as Rabobank’s back-up Yen LIBOR submitter. Robson, who was based in London, served as Rabobank’s primary submitter of Yen LIBOR. Allen, in addition to supervising the desk in London and money market trading worldwide, occasionally acted as Rabobank’s backup USD and Yen LIBOR submitter. Allen also served on a BBA Steering Committee that provided the BBA with advice on the calculation of LIBOR as well as recommendations concerning which financial institutions should sit on the LIBOR contributor panel. The charges in the superseding indictment are merely accusations, and the defendants are presumed innocent unless and until proven guilty. Sir Jeremy Lionel Cooke (born 28 April 1949), styled The Hon Mr Justice Cooke at the Queen’s Bench in the High Court, ,sentenced Tom Hayes to 14 years of imprisonment on eight counts of conspiracy to defraud, separating Hayes’ conduct at each of the banks where he worked, making the sentences in respect of each consecutive rather than concurrent After the judge finished his remarks, the guard took Mr. Hayes, toting a blue-green duffel bag packed with his clothes and other belongings, into custody. He began serving his sentence immediately. Hayes will no doubt appeal the sentence, and the Court of Appeal will need to consider whether the sentence is wrong in principle or manifestly excessive in its totality. The Libor benchmark rigging allegations are novel. The 14-year sentence eclipses those handed out in some other high-profile financial-crime cases. In 2012, Kweku Adoboli, who was convicted of fraud in causing a $2.3 billion trading loss at UBS, was sentenced by a British court to seven years in jail. Hedge-fund manager Raj Rajaratnam, convicted in the U.S. for insider trading, received an 11-year sentence.The 35-year-old Briton argued that his behavior while at UBS Group AG and Citigroup Inc. was in line with industry standards, that his bosses knew about and condoned what he was doing and that he never realized his behavior was improper. His case was closely followed—the riverside Southwark Crown Court, anticipating capacity crowds, issued tickets in advance—as the first instance of a trader being put on trial for manipulating Libor. Replay of the LIBOR fraud. The first detail is that after LIBOR became well-established as a basis for interest rates on loans, the finance industry began to use LIBOR as the basis for lots of more complex financial transactions: for example, “exchange-traded eurodollar futures and options available from Chicago Mercantile Exchange Group, and over-the-counter derivatives including caps, floors, and swaptions (that is, an option to engage in a swap contract).” I won’t plow through an explanation of those terms here. The key takeaway is that the benchmark LIBOR interest rate wasn’t just linked to about $17 trillion in US dollar loans. It was also linked to $106 trillion in interest rate swap agreements, and tens of trillions more in interest rate options and futures, as well as cross-currency swaps. As a result, if you had some information on how LIBOR was likely to change on a day-to-day basis–even if the change was a seemingly tiny amount that didn’t much matter to borrowers or lenders–you could make a substantial amount of money in these more complex financial markets. The second detail involves how LIBOR was actually calculated. Banks did not actually submit data on the costs of borrowing; indeed, someone at a bank responded to a survey each day with an estimate of what it would cost that bank to borrow–even though on a given day many of these banks weren’t actually borrowing from other banks. In addition, during the financial crisis as it erupted in 2007 and 2008, no bank wanted to admit that it would have been charged a higher interest rate if it wanted to borrow, because financial market would be quick to infer that such bank might be in a shaky financial position. So on one side, LIBOR is a key financial benchmark that affects literally tens of trillions of dollars of continuously traded and complicated financial instruments. On the other side, you have this key benchmark being determined by a survey of the opinions of fairly junior bank officers who have some incentive to shade the numbers. The British court found that Tom Hayes led a group of traders who sent messages to the bankers who responded to the LIBOR survey, requesting that the LIBOR rate be jerked a little higher one day, or pushed a little lower another day. Again, those who were just using the LIBOR rate as a benchmark for loans probably wouldn’t even notice these fluctuations. But traders who knew in advance how the LIBOR was going to twitch up and down could make big money in the options and futures markets. “According to plea agreements to be filed in the District of Connecticut, between December 2007 and January 2013, euro-dollar traders at Citicorp, JPMorgan, Barclays and RBS – self-described members of “The Cartel” – used an exclusive electronic chat room and coded language to manipulate benchmark exchange rates. Those rates are set through, among other ways, two major daily “fixes,” the 1:15 p.m. European Central Bank fix and the 4:00 p.m. World Markets/Reuters fix. Third parties collect trading data at these times to calculate and publish a daily “fix rate,” which in turn is used to price orders for many large customers. “The Cartel” traders coordinated their trading of U.S. dollars and euros to manipulate the benchmark rates set at the 1:15 p.m. and 4:00 p.m. fixes in an effort to increase their profits. Justice Jeremy Cooke sentenced Tom Hayes, a 35-year-old who worked for UBS in Tokyo trading yen, to serve nine and a half years in prison on four counts of conspiracy to manipulate a global benchmark interest rate known as Libor, to be followed by another four and a half years in prison on the remaining four counts for 14 years in total. Mr. Hayes faced as much as 10 years in prison on each count. During his four years at UBS he was paid £1.3million/$ 2, 028, 390 in total. But ‘dissatisfied’ he quit for Citigroup in 2009, where he earned £3.5million/$ 5, 461, 400 before being sacked after nine months when his methods were discovered. British authorities have been criticized in the United States for not being as aggressive as the Justice Department when it comes to pursuing financial crime. Tom Hayes, 35, pleaded not guilty in December 2013 to four counts related to UBS, between 2006 and 2009, and four related to Citigroup, between 2009 and 2010 in relation to Libor, the benchmark rate at which banks lend to each other. Trial began in a London court on May 26. Conspiracy to defraud carries a maximum sentence of 10 years. His trial, which is expected to take more than two months, comes nine years after he is first accused of rigging the rate. which created the illusion of downward pressure on the market. As other computers reacted to that artificial pressure, Navinder Singh Sarao, proprietor of Nav Sarao Milking Markets Ltd. [Nevis] would profit by buying at a lower price and then selling when prices returned. He figured out that the machines that execute the stock market trades of others might be gamed — and he gamed them. 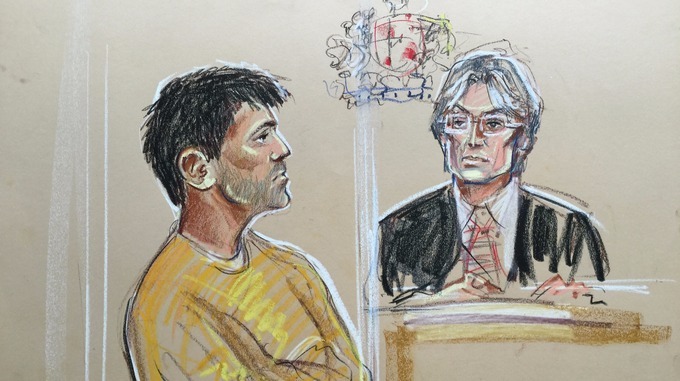 British trader Navinder Singh Sarao has been given conditional bail until May 26, must remain at his home in Hounslow, London, and provide £5.05 million security. District judge Quentin Purdy ruled the expert evidence was of “no assistance to this court” as he had to decide whether the US charges would also be offences under British law, not the facts of the case. The date for the extradition hearing has been set for 25 September. Navinder Singh Sarao, 37, faces US extradition after allegedly ‘spoofing’ global financial markets by placing £134m of false trades from his Hounslow home. Commodity Futures Trading Commission, said that Sarao and his company profited by more than $40m (£27m). The DOJ detailed a series of supposed coups, including episodes where Sarao is said to have made profits of more than $820,000 during a day’s trading. Sarao allegedly employed a “dynamic layering” scheme to affect the price of E-Minis. By allegedly placing multiple, simultaneous, large-volume sell orders at different price points—a technique known as “layering”—Sarao created the appearance of substantial supply in the market. As part of the scheme, Sarao allegedly modified these orders frequently so that they remained close to the market price, and typically canceled the orders without executing them. When prices fell as a result of this activity, Sarao allegedly sold futures contracts only to buy them back at a lower price. Conversely, when the market moved back upward as the market activity ceased, Sarao allegedly bought contracts only to sell them at a higher price. Also. one count of “spoofing,” a practice of bidding or offering with the intent to cancel the bid or offer before execution.to have made profits of more than $820,000 during a day’s trading. Sarao allegedly employed a “dynamic layering” scheme to affect the price of E-Minis. 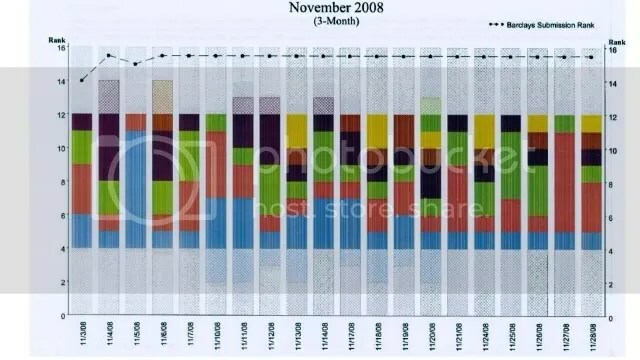 By allegedly placing multiple, simultaneous, large-volume sell orders at different price points—a technique known as “layering”—Sarao created the appearance of substantial supply in the market. As part of the scheme, Sarao allegedly modified these orders frequently so that they remained close to the market price, and typically canceled the orders without executing them. When prices fell as a result of this activity, Sarao allegedly sold futures contracts only to buy them back at a lower price. Conversely, when the market moved back upward as the market activity ceased, Sarao allegedly bought contracts only to sell them at a higher price. Also. one count of “spoofing,” a practice of bidding or offering with the intent to cancel the bid or offer before execution. Aleksandr Milrud has been accused by U.S. officials of recruiting stock traders in China and Korea to place high-speed buy or sell orders and then quickly cancel them, known as layering or spoofing, Aleksandr Milrud is charged with one count of wire fraud and one count of conspiracy to commit securities fraud for manipulating stock prices through a process called “layering,” according to federal prosecutors. Layering, also known as “spoofing,” is a form of manipulative, high-speed stock trading in which a trader places non-bona fide orders to buy or sell securities and then quickly cancels them before they are executed. The case is the first of its kind to be brought against a trader in the stock market. The U.S. Securities and Exchange Commission filed a separate civil case against him. Critics have warned that high-speed trading could make it easier to engage in practices such as “layering” or “spoofing,” both of which involve placing fake orders to create the appearance of increased activity in a stock or other asset in order to move its price. Milrud used a network of overseas traders and brokerage accounts to place fake orders for individual stocks to move their prices in a particular direction. The fake orders would be canceled before they could be filled, but traders working for Milrud would also make real trades in the stocks to take advantage of their temporarily inflated or depressed prices. According to prosecutors, Milrud hired a software company to program “hotkeys” so orders could be made and canceled using just a few keyboard strokes. Milrud allegedly believed his fake orders would be untraceable, but U.S. authorities convinced the owner of an offshore broker-dealer he was using to cooperate with their investigation. Michael Spencer and Sarah Milford Haven formerly married to to Prince Philip’s cousin, the Marquess of Milford Haven, termed Sarah, Marchioness of Milford Haven, is seeing moneybroker Michael Spencer, 53, Spencer stood down as treasurer and member of the board of the Conservative Party in October 2010 , formerly considered to be the most powerful man in the City of London. (2008) ICAP’s chief executive, Michael Spencer has cut hundreds of jobs once held by voice brokers—who take orders and execute trades manually by phone or computer—while expanding electronic-trading services. That’s not what brokers say. Two years before the meeting, Michael Spencer, the CEO of ICAP, said that slightly less than 55 percent of the volume on BrokerTec is conducted via high-frequency trading, which is also known as HFT. In the CME complaint, a Chicago trading firm called HTG Capital Partners LLC filed an arbitration claim asserting damages from a pattern of canceled bids and offers allegedly meant to mislead traders in Treasury futures, according to people familiar with the matter. Allston Trading LLC, a Chicago-based proprietary trading firm, was identified by CME in that arbitration as a counterparty to the HTG transactions, according to people familiar with the matter. The arbitration is ongoing. Three former brokers at ICAP, the brokerage run by Michael Spencer, pleaded not guilty on December 5 to criminal charges that they attempted to manipulate the Libor interbank benchmark rate. Colin Goodman, Darrell Read and Danny Wilkinson all entered their not-guilty pleas to a packed courtroom at Southwark Crown Court on December 5 to charges of conspiracy to defraud brought by the UK’s Serious Fraud Office. Mr Read, a Briton who lives in New Zealand, entered his plea via video link. The others appeared in the dock, together with three brokers from RP Martin and Tullett Prebon, with whom they are all set to face a 12-week jury trial scheduled for September 2015. All six are on conditional bail. All six brokers are accused of conspiring to manipulate the yen-denominated Libor rate to benefit a trader who worked at UBS and then at Citibank. That trader, who has pleaded not guilty in a parallel case brought by the SFO, faces his own jury trial that is due to begin in May. It will be the first in the world of a defendant charged with Libor-related offences. The US Department of Justice has also charged 10 people, including seven Britons. That number includes the three ICAP brokers and the former UBS trader. They have not had the opportunity to enter pleas to the DoJ’s charges. Typically if British defendants face similar charges over the same alleged wrongdoing in the UK as well as in another country, they will be safe from extradition. 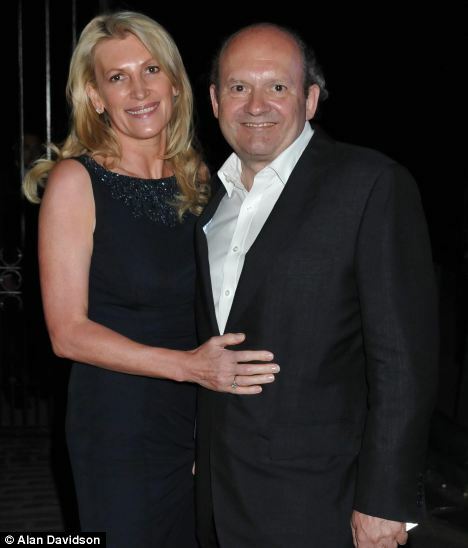 In the SFO’s case, the former Tullett broker, Noel Cryan, has not yet had a formal opportunity to enter a plea to the charge against him, although he appeared in the dock on Friday. He only had his first magistrates appearance in October. On November 19, FINMA said it had started enforcement proceedings against 11 former and current UBS employees as part of its forex investigation.Switzerland’s public prosecutor has opened criminal investigations into several individuals over alleged manipulation in the foreign exchange market, becoming the third country to do so after the United States and Britain, but said on November 20 that the investigations did not involve any banks. The investigations were based on suspicion of “unfaithful financial management”, punishable by up to five years in prison or a fine, and “violation of professional secrecy”, which carries a penalty of up to three years in jail or a fine. 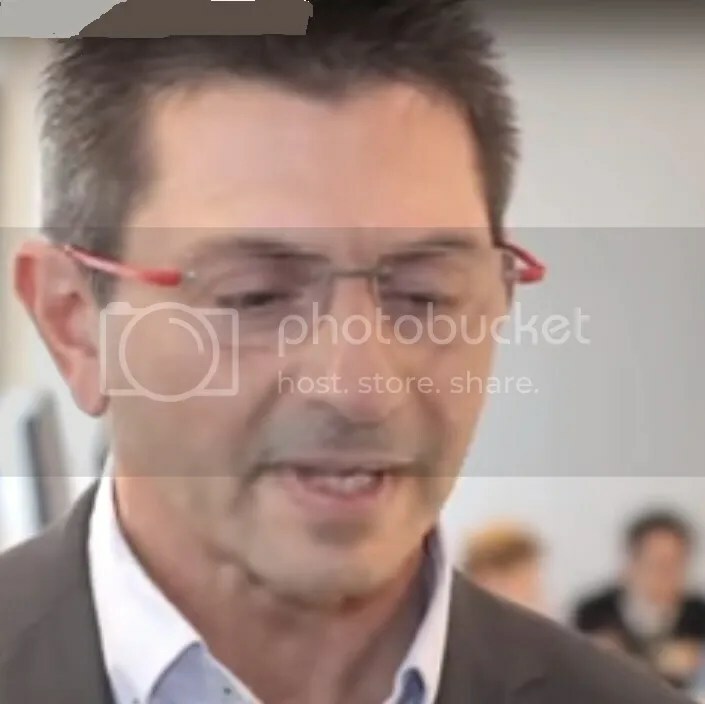 The public prosecutor is exchanging information with Switzerland’s financial watchdog, FINMA in its investigations and is also in contact with Switzerland’s competition commission, WEKO, which is investigating possible collusion in the forex market by several banks. Trial balloon: In the year since the scandal surfaced, regulatory authorities have yet to show proof of criminal activity or manipulation of benchmark exchange rates so maybe a settlement with the Financial Conduct Authority (FCA) on the basis of banks acknowledging lax internal compliance, oversight failures and market conduct breaches by individual employees, but not deliberate manipulation of the $5 trillion-a-day market. A Rabobank trader became the second to plead guilty in a criminal plot to manipulate a global financial benchmark used to set rates on trillions of dollars in loans. United Kingdom citizen Paul Robson, pleaded guilty, admitting he helped manipulate the London Interbank Offered Rate for Japanese yen between May 2006 and January 2011 in a plot to boost trading profits for himself and others. “According to the current status of the investigation, no member of the Executive Board was unreasonable in any way an acting or earlier involvement in reference to interest rates,” the bank spokesman said, reiterateing earlier statements. Germany’s financial regulator, BaFin, is extending investigations into alleged interest-rate manipulation at Deutsche Bank AG, Europe’s largest investment bank. BaFin mandated audit company Ernst & Young LLP to discover more about when Anshu Jain, the company’s co-chief executive officer, learned first about a potential manipulation of benchmark interest rates in the industry and at Deutsche Bank, according to information from the mandate description. The regulator defined 10 areas at which the auditors are supposed to take a closer look, with Jain being listed as a key person in six of them. 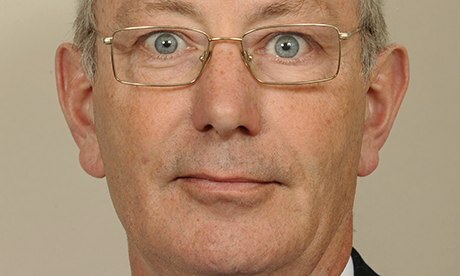 Lord Blackwell, a former Downing Street adviser to Margaret Thatcher and John Major, is chairman of the state-backed Lloyds Banking Group. Lloyds posted a 32 percent gain in first-half earnings today after bad loans fell, and said it’s setting aside 1.1 billion pounds for legal redress. Lloyds reported an underlying profit for the six months to the end of June of 3.8 billion pounds ($6.4 billion), up 32 percent from a year ago. The U.K.’s biggest mortgage lender suspended traders Clive Jones, John Argent and Udit Dewan in London, said the person, asking not to be identified as the details are private. Jones, who joined Lloyds Bank in 1977, was appointed global director of money markets following the merger with HBOS Plc in 2008, according to the lender’s website. Argent returned to work in mid-2012 after being suspended that year amid a probe of potential manipulation of the London interbank offered rate, Jones rejoined Lloyds in mid-2012 as global director of money markets after being suspended for presumably manipulating Libor. Lloyds Banking Group has suspended seven employees after it was hit with a £226m bill from regulators on both sides of the Atlantic for rigging LIBOR -crucial interest rates. Among those suspended by Lloyds on July 28 were three of the four unnamed individuals cited by the FCA who may have been involved in depriving the Bank of England of emergency funding fees of almost £8m. A total of 22 people are understood to be bound up in the latest regulatory crackdown on benchmark manipulation; six had already been suspended before Monday and the rest have already left the bank. Lloyds Banking Group Plc’s penalty is less than the 290 million pounds Barclays Plc (BARC) paid in June 2012 when the London-based lender became the first to settle Libor-manipulation claims. Chief Executive Officer Robert Diamond was forced to resign in the aftermath of the settlement. UBS AG (UBSN), Switzerland’s biggest bank, has paid the most, settling with U.S., U.K. and Swiss regulators in 2012 at the cost of $1.5 billion. Lloyds Banking Group Plc (LLOY), bailed out by British taxpayers during the financial crisis, will pay 218 million pounds ($370 million) in fines to U.K. and U.S. regulators after manipulating benchmark interest rates. The lender will pay $105 million to the Commodity Futures Trading Commission, $86 million to the Department of Justice and 105 million pounds to Britain’s Financial Conduct Authority, according to a statement today. Lloyds has also paid a further 7.8 million pounds in compensation to the Bank of England after the actions of its traders reduced the fees the central bank received from one of its emergency-rescue packages. At least nine financial firms have been fined about $6 billion for manipulating Libor, the benchmark interest rate for more than $300 trillion of securities worldwide. The Federal Deposit Insurance Corporation sued 16 of the world’s largest banks on March 14, accusing them of collusively suppressing interest rates. Named as defendants were Bank of America Corp, Barclays PLC, Citigroup Inc, Credit Suisse Group AG, Deutsche Bank AG, HSBC Holdings PLC, JPMorgan Chase & Co, the Royal Bank of Scotland Group PLC and UBS AG. Other defendants in the lawsuit include Rabobank, Lloyds Banking Group plc, Societe Generale, Norinchukin Bank, Royal Bank of Canada, Bank of Tokyo-Mitsubishi UFJ and WestLB AG. The case is Federal Deposit Insurance Corporation, et al, v. Bank of America Corp, et al, U.S. District Court, Southern District of New York, No. 14-1757. The lawsuit also named as a defendant the British Banks’ Association, the U.K. trade organization which during the period at issue administered Libor. The Federal Deposit Insurance Corporation is a United States federal agency created in 1933 in response to widespread bank failures in the 1920s and early 1930s. The FDIC’s mission is to maintain stability and consumer confidence in the United States banking system by insuring deposits, monitoring the health of financial institutions and managing receiverships. Three former Rabobank bankers were charged by US authorities on January 13 with allegedly manipulating Libor and other key benchmark interest rates as the criminal investigation widened to include another wave of individuals. The US Department of Justice announced criminal conspiracy and fraud charges against Paul Robson, a former senior rate trader and submitter in the UK who left the Rabobank in 2008, Paul Thompson, an Australian who headed the bank’s derivatives desk in Singapore, and Tetsuya Motomura, a senior trader and supervisor in Japan. They are accused of conspiring to manipulate the yen Libor rate. The charges announced January 13 follow Rabobank’s settlement in October 2013 with US, UK and Dutch authorities in which it paid $1bn and admitted that 30 employees around the globe manipulated several different interest rates, Euribor and Libor for the US dollar, yen, and pound sterling. Previously the US charged Tom Hayes and Roger Darin, his former colleague at UBS, for allegedly manipulating Libor. Mr Darin, a Swiss citizen, has not entered a plea to the charges. His lawyer has previously declined to comment. Tom Hayes has pleaded not guilty to the UK charges and has not entered a plea to the US case. Three former employees of inter-dealer broker ICAP have also been charged: Darrell Read, Daniel Wilkinson and Colin Goodman. They have not entered pleas. None of the former Rabobank traders charged are based in the US, which could set up another turf battle with the UK’s Serious Fraud Office, which is also investigating the bank and, specifically, Mr Robson’s role. The SFO indicated last year that it would identify Mr Robson and 21 others as co-conspirators within an indictment that was to be filed against Mr Hayes. The SFO later narrowed the charges and did not include the names. US authorities allege Rabobank submitters manipulated rates to help their own positions, at times it is alleged that they helped other banks, including UBS, attempt to manipulate rates. Mr Robson, Mr Thompson and Mr Motomura allegedly entered “ridiculously” high and “silly” low Libor submissions to benefit their own positions, DoJ said. In May 2006, according to DoJ, Mr Thompson emailed Mr Robson asking him to “sneak your 3m libor down a cheeky 1 or 2 bp” because “it will make a bit of diff for me” on a large position he held. [December 13 2013]The first three men to face trial in connection with a global investigation into a rate-rigging scandal that has rocked the financial industry pleaded not guilty in court on December 10, being prosecuted by the U.K. Serious Fraud Office. Tom Hayes, a former UBS and Citigroup trader has been charged with eight counts of conspiring with staff from at least 10 major banks and brokerages to manipulate Libor benchmark interest rates between 2006 and 2010. 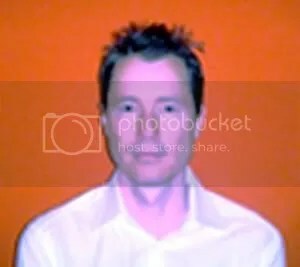 Farr and Gilmour, former RP Martin brokers who were arrested alongside Hayes in Britain last December and later also charged with two and one count of conspiracy to defraud respectively by Britain’s Serious Fraud Office, also pleaded not guilty. All three are on bail. The pleas pose a challenge to SFO head David Green, who has staked his reputation on the success of high-profile investigations such as the sprawling investigation into the manipulation of benchmarks such as Libor (London Interbank Offered Rate). U.S. and European authorities have fined 10 banks and brokerages around $6 billion to date and charged seven men with criminal offences in connection with the rate-rigging scam. Regulators are also now investigating how other benchmarks are set, such as in foreign exchange and swaps markets. Libor rates, designed to reflect the wholesale cost of loans, are used to help to price hundreds of trillions of dollars worth of financial products worldwide, ranging from derivatives to mortgages. Rabobank and HSBC, Farr and Gilmour and another employee of RP Martin while he worked in Japan. “They dishonestly agreed to procure or make submissions of rates … which were false or misleading in that they were intended to create an advantage to the trading position of Tom Hayes and others and deliberately disregarded the proper basis for the submission of those rates, thereby intending to prejudice the economic interests of others,” the indictment alleges. Judge Jeremy Cooke set a London trial date for Hayes for January 2015. The trial of Hayes, who last December was also charged with fraud-related offences by U.S. prosecutors, could take 12 weeks, lawyers said. The provisional trial date of Farr and Gilmour, which is expected to take around 6 weeks, has been set for September 2015, in part to allow the SFO time to bring a case against further alleged co-conspirators. 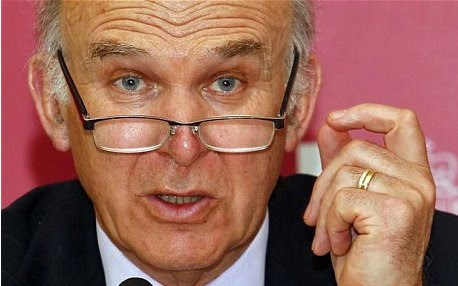 The SFO’s head Green had been hoping to charge more individuals in connection with the Libor investigation around this autumn. UBS, which paid $1.5 billion to U.S. and European regulators last year to settle Libor-rigging charges – the biggest Libor-related fine to date – declined to comment as did Citigroup and ICAP. RP Martin, Deutsche Bank, Rabobank and JPMorgan also declined to comment. Tullett Prebon and HSBC did not immediately respond to requests for a comment. Hayes joined Swiss bank UBS in Tokyo in 2006, becoming a senior trader of interest-rate derivatives indexed to yen-denominated Libor. In late 2009, he left UBS to join Citigroup in Tokyo. He left the U.S. bank less than a year later. While Hayes was at UBS, Farr and Gilmour are alleged to have conspired with him and other UBS employees, another RP Martin employee, an employee of Rabobank and one at HSBC, among others, by trying to influence yen-denominated Libor. Farr is also charged with conspiring with Hayes and others while Hayes worked at Citibank. The Deutsche Bank documents, handed to investigators by a former employee of the bank and reviewed by The Wall Street Journal, show for the first time the scope and manner in which a bank painstakingly constructed a string of trades in hopes of profiting from small changes in various rates. Deutsche Bank AG DBK.XE -0.34% made at least €500 million ($654 million) in profit in 2008 from trades pegged to the interest rates under investigation by regulators world-wide, internal bank documents show. The German bank’s trading profits resulted from billions of euros in bets related to the London interbank offered rate, or Libor, and other global benchmark rates. Regulators have been investigating allegations that more than a dozen banks, including Deutsche Bank, rigged Libor and other interest rates underpinning trillions of dollars in loans and other financial contracts. The probe has already produced settlements totaling nearly $2 billion with BarclaysBARC.LN +1.51% PLC and UBSUBSN.VX +0.83% AG. Hong Kong’s de facto central bank said it is investigating possible misconduct by UBS over its submission of interbank rates, raising the possibility that the bank could face more fines a day after it agreed to pay $1.5 billion (922.3 million pounds) for its role in the Libor scandal. The Hong Kong Monetary Authority (HKMA) said in a statement on December 28 that it had received information from overseas regulatory authorities about possible misconduct by UBS involving submissions for the Hong Kong Interbank Offered Rate (Hibor) and other reference rates in the region. On December 25 [HK], the Swiss bank admitted to fraud and bribery in connection with efforts to rig Libor and other benchmark interest rates and agreed to pay $1.5 billion in fines to regulators in the United States, Britain and Switzerland. While the bank will hope that settlement will draw a line under its role in Libor manipulation, it remains at risk of action from regulators elsewhere for possible rate rigging. Besides Hong Kong, an investigation is still ongoing in Singapore into possible manipulation of benchmark interest and foreign exchange rates. A spokesman for the Monetary Authority of Singapore (MAS) said on December 27 that banks on rate-setting panels in the city-state, including UBS, are still conducting reviews into their rate-setting processes. “The reviews are ongoing, and it is premature to speculate on the outcome of these reviews at this stage”. —UBS Securities Japan Co. Ltd. (UBS Japan), an investment bank, financial advisory securities firm, and wholly owned subsidiary of UBS AG, has agreed to plead guilty to felony wire fraud and admit its role in manipulating the London Interbank Offered Rate (LIBOR), a leading benchmark used in financial products and transactions around the world, Attorney General Eric Holder announced today. The criminal information, filed today in U.S. District Court in the District of Connecticut, charges UBS Japan with one count of engaging in a scheme to defraud counterparties to interest rate derivatives trades by secretly manipulating LIBOR benchmark interest rates. As part of the ongoing criminal investigation by the Criminal and Antitrust Divisions of the Justice Department and the FBI into LIBOR manipulation, two former senior UBS traders also are charged. Tom Alexander William Hayes, 33, of England, and Roger Darin, 41, of Switzerland, were both charged with conspiracy in a criminal complaint unsealed in Manhattan federal court earlier today. Hayes is also charged with wire fraud, based on the same scheme, and a price fixing violation arising from his collusive activity with another bank to manipulate LIBOR benchmark rates. UBS Japan has signed a plea agreement with the government admitting its criminal conduct and has agreed to pay a $100 million fine. In addition, UBS AG, the parent company of UBS Japan headquartered in Zurich, has entered into a non-prosecution agreement (NPA) with the government requiring UBS AG to pay an additional $400 million penalty to admit and accept responsibility for its misconduct as set forth in an extensive statement of facts and to continue cooperating with the Justice Department in its ongoing investigation. The NPA reflects UBS AG’s substantial cooperation in discovering and disclosing LIBOR misconduct within the financial institution and recognizes the significant remedial measures undertaken by new management to enhance internal controls. Together with approximately $1 billion in regulatory penalties and disgorgement—$700 million as a result of the Commodity Futures Trading Commission (CFTC) action; $259.2 million as a result of the U.K. Financial Services Authority (FSA) action; and $64.3 million as a result of the Swiss Financial Markets Authority (FINMA) action—the Justice Department’s criminal penalties bring the total amount of the resolution to more than $1.5 billion. UBS AG (UBSN)’s $1.5 billion fine for rigging global interest rates expands the scandal to include bribery and highlights the influence of a trader in Tokyo who colluded with other banks to align their submissions. The employee led efforts to influence Japanese Yen Libor submissions by paying brokers as much as 15,000 pounds ($24,400) a quarter and offering a payment to another for helping him keep that day’s rate low. The banker, identified by regulators as Trader A, worked at UBS in Tokyo from 2006 to 2009 and directly contacted employees at other banks to influence their submissions at least 80 times. Trader A wrote to the broker on Sept. 18, 2008, referring to six-month yen Libor. “If you do that … I’ll pay you, you know, $50,000, $100,000… whatever you want … I’m a man of my word,” according to transcripts released by the U.K. Financial Services Authority today. Thomson Reuters (TRI.TO) said on December 13 it wanted to play a role administrating overhauled interbank lending rates. In September, Martin Wheatley, FSA managing director, recommended changes to how Libor was set, governed and supervised. A replacement for the BBA as Libor administrator is now being selected by an independent panel. Three British men were arrested on December 11 as part of the Serious Fraud Office investigation into the manipulation of Libor. The three are understood to be Thomas Hayes, who has worked at several institutions including UBS and Citigroup, along with Terry Farr and Jim Gilmour. The latter pair are understood to work for RP Martin, a broker which facilitates trading between banks and other financial firms. The SFO would only say that three men, aged 33, 41 and 47, were taken to a London police station in the early morning after the three properties were searched. The SFO and City of London police arrested three men aged 33, 41 and 47 after searching a house in Surrey and two properties in Essex. The three were taken to a London police station to be interviewed “in connection with the investigation into the manipulation of Libor”. The SFO’s investigation into Libor rigging was sparked by the $450m fine levied on Barclays in June, which led to the departures of the bank’s chairman Marcus Agius, chief executive Bob Diamond and newly promoted chief operating officer Jerry del Missier for allowing traders to rig it and Euribor and for low-balling rates during the 2007/08 credit crunch. UBS and RBS are next in line to settle with the regulators, people familiar with the case have said.. “Obviously when we first received it there was anxiety that execution of the request could mop up SFO resources,” he said. “We are anxious to execute it” and will “certainly” assist, he said. Green said the agency, while working closely with the DOJ, is also competing to bring charges first in order to handle the prosecution of any British citizens in the U.K., reducing the chance of extradition. U.K. prosecutors are poised to arrest former traders and rate setters at UBS AG (UBSN), Royal Bank of Scotland Group Plc (RBS) and Barclays Plc within a month for questioning over their role in the Libor scandal, a person with knowledge of the probe said. The arrests will be made by police under the direction of prosecutors at the Serious Fraud Office within the next month, said the person, who declined to be identified because the matter isn’t public. Arrests in the U.K. are made at an early stage of the investigation, allowing police and prosecutors to question people under caution and may not lead to charges. The SFO has 40 people working on the probe into manipulation of the London interbank bank offered rate, a benchmark for financial products valued at $360 trillion worldwide, and has involved the City of London Police, said David Green, the agency’s director. [August 13] Jay Merchant, the former Barclays employee who has come under federal scrutiny in the Libor manipulation scandal, has left his position as head of swaps trading at UBS, a spokeswoman at the bank confirmed. (August 12)Former UBS traders and other employees who had relatively junior-level jobs have been offered deals in return for their cooperation with the escalating investigation of suspected interest-rate manipulation, according to a person close to the probe. No more than a few of the UBS employees under investigation for alleged interest-rate manipulation still work there, and the company has fired or suspended about 20 traders and managers as a result of the four-year inquiry. [July 25]Appearing before the House financial services committee,US treasury secretary Tim Geithner told the committee that press reports and the New York Fed’s own investigations had convinced him that there was a risk that Libor was designed to give “not just the incentive to under report but also the opportunity”. [July 16] When Treasury Secretary Timothy Geithner, in 2008, as head of the Federal Reserve Bank of New York, advised the British about improvements in LIBOR setting, he was acting on messages from U.S. ‘market participants’ –banks. as market participants have questioned whether the rates contributed by panel banks accurately reflect the rates at which they could actually obtain funds. [July 15]The NY Fed knew that banks were lying about their Libor rates back in 2008, according to transcripts of phone calls released today. [July 10]Whether the BoE instructed Barclays to lower its submissions or not, regulators had a pretty clear motive for wanting lower LIBOR: British banks, in effect, were being shut out of the markets. [July 9]Bank of England Deputy Governor Paul Tucker said no government minister or official pressured him to instruct Barclays Plc (BARC) or any other U.K. commercial bank to lowball its Libor submissions during the financial crisis. [July 6]The U.K. Serious Fraud Office (SFO) has confirmed that it has formally launched an investigation into the rigging of inter-bank lending rates. Regulators are continuing to look into possible rate manipulation at other banks, while the US Department of Justice is carrying out its own criminal investigations. [July 5]U.K. lawmakers grilled former Barclays CEO Robert Diamond for three hours July 4 about what he knew about the rating-fixing scandal that led to his resignation earlier this week. In late 2008 Barclay’s – and, Diamond alleges, other banks – apparently low-balled the rates they reported for LIBOR averaging so as to make the banks’ finances look more stable than they were. The idea was to put out a false image of stability to prevent market panic and stave off calls for additional regulation or even nationalization, a solution that looked increasingly likely during the height of the financial crisis. The direct effect for consumers here was to make loans cheaper, but the indirect effect, or the intended one at least, was to lessen chances of government action against the banks. So the banks manipulating LIBOR weren’t just messing with peoples’ finances – they were trying to mess with the peoples’ laws. [earlier July 3]Barclays chief executive Bob Diamond resigns with immediate effect. Barclays’ newly appointed Chief Operating Officer, Jerry del Missier, resigns from the bank. Barclays Bank chairman Marcus Agius, who on July 1 had also quit, was to return to the lender in the position of executive chairman until a new CEO is appointed, Agius faces increasing pressure over the Libor rate-fixing scandal. Barclays Plc (BARC) was fined 290 million pounds ($453.2 million), the largest penalties ever imposed by regulators in the U.S. and U.K., to settle U.S. and U.K. probes into whether it sought to rig the London and euro interbank offered rates. . Derivatives traders requested the false submissions in the Libor and Euribor setting process, as they were “motivated by profit and sought to benefit Barclays’ trading positions,” Britain’s Financial Services Authority said. As well as Chief Executive Officer Robert Diamond , Chief Operating Officer Jerry del Missier, Finance Director Chris Lucas and corporate and investment banking chief Rich Ricci are also forgoing bonuses this year. [March 7]The Feb. 27 letter to U.S. District Judge Naomi Reice Buchwald in Manhattan was made public yesterday and is the first public acknowledgment by the Justice Department of the criminal investigation of benchmark lending rates such as the London interbank offered rate, known as Libor. Buchwald cited the letter at a March 1 hearing in which she denied a request for documents related to the investigation by investors suing Credit Suisse Group AG (CSGN), Bank of America Corp. and other companies over claims they artificially suppressed Libor. [February 9]Japan’s regulators said Citigroup traders engaged in “seriously unjust and malicious” conduct in the first findings as authorities in Asia, Europe and the U.S. conduct widening inquiries into whether employees at some of the world’s biggest banks sought to manipulate the London, Tokyo and euro interbank offered rates, known as Libor, Tibor and Euribor, respectively. The rates were used by investors to gauge the ability of firms to borrow money at the height of the 2008 credit crisis and can play a key role in derivatives trades. Regulators are investigating whether rate bids were low- balled during the financial crisis, if traders at banks and hedge funds sought to influence rate-setters to profit on interest-rate derivatives and whether traders received advanced word about which direction rates would move, the FT reported, without saying how it got the information. [10 February]Traders at different banks appeared to be trying to influence the movement of Libor and similar benchmarks to profit from derivatives tied to the rates, citing information submitted to regulators. According to people familiar with the probe, the CFTC is examining whether traders placed bets on future yen and dollar rates and colluded with bank treasury departments, who help set the Libor index, to move the rates in their direction. It is also looking at whether some banks lowballed their Libor submissions to make themselves appear stronger. All 16 banks on the London panel in 2007 and 2008 have received information requests. The investigation is being handled by the U.S. Securities and Exchange Commission, U.S. Commodity Futures Trading Commission, U.S. Department of Justice, Japan’s Financial Supervisory Agency and the U.K. Financial Services Authority. European Union antitrust regulators and the Swiss Competition Commission are also examining Libor rates. Credit Suisse Group AG, Bank of America Corporation, J.P. Morgan Chase andamp; Co., HSBC Holdings plc, Barclays Bank plc, Lloyds Banking Group plc, WestLB AG, UBS AG, Royal Bank of Scotland Group plc, Deutsche Bank AG, The Norinchukin Bank, and Citibank, N.A., have been named in two separate class actions alleging fraud and the manipulation of LIBOR Rates and Exchange Traded LIBOR Based Derivatives.